For sale is my sharkwerks x pipe for the 997.2 turbo or turbo s, pipe has covered about 3k miles. No need for remapping as this is effectively a silencer delete and still uses the factory cats. Any reason for taking it off ? Not sure I am ready for silencer delete, ideally I would like a switchable system like the PSE on my 4S ... best of both. Do you have any sound clips pls? Does it use the std tips? Ps. As I recall you bought the turbo well so should see all your money back and then some... good luck. Great exhaust, I really rate mine. Sounds great on startup, purposeful at low speeds, quiet at motorway speeds and lovely at WOT and no drone anywhere. 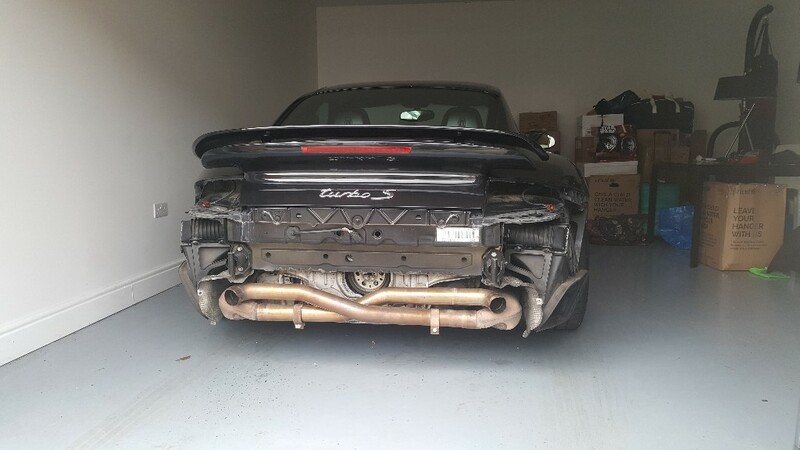 I have a Larini exhaust and a BMW Performance Exhaust on my two BMWs and this sounds much better than both.....probably not fair to compare them but they are both straight sixes, one NA the other twin turbo and after reading all the complaints about these 997 Turbos not sounding good I have been really impressed. Yes, I am running standard on mine. Mmm good to know thx. I am tempted. What is the fitting time? Where are you based maph? Bristol.....happy for you to check it out if you are in the area. Worth checking if OP has removed it yet as another option. Mmm I am near Cambridge. Bit far to just nip over. Thx all the same. Takes about 2 hours to fit- trust me the sound is not dissapointing. I listened to a lot of turbo sports exhausts, which frankly didn't sound much different to stock. Assuming this would void an OPC warranty even without a remap? From what I understand it only voids the part of the warranty associated with that part eg no cover for the exhaust but every OPC seems to differ slightly so worth checking with your local on their view. Yeah true, it will stop you renewing your warranty though.